Your clogged drain needs a certain kind of help to get cleared out. There are companies out there that will be able to give it the help that it needs and there are others that will try to clear it out and fail. You need your drain to be working, and you need to find a company that will get it fixed for you. When you have a clog in a drain in your home, the help that you choose for that clog will affect the care that your drain receives. We are here to work as your clogged drain specialist in Chandler, AZ and to make sure that the clog gets cleared completely out of your drain. When you are looking for someone who will clear a clog from a drain, you want to find those who are set up with all of the tools that they will need to do that. Clearing a clog from a drain can take special tools, and you do not have the tools to do such a job on your own. You need help from someone who not only knows what they need to do to serve you but who has everything that they need to get the job done. 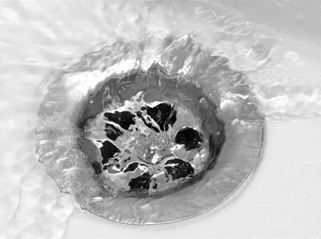 We have the tools that are needed to clear your drain for you. As you are looking for a clogged drain specialist in Chandler, AZ, you want to find someone who is going to work hard to clear the drain for you. You want to find someone who will make sure that everything is working well before they head home. You would like to find someone who cares enough about the work that they are doing that they will check to make sure that they have solved your problem. We are here to be the team that you can trust to give you real help and real results.